Jonathan read history at University College London before obtaining a Masters in Medieval History from King’s College London. He passed the Bar exams and then spent two years working in commercial litigation at a leading London firm. Jonathan handles small claims, fast track and multi track matters through to trial. He appears in county courts across East Anglia and London dealing with a wide range of applications. His background in High Court commercial litigation leaves him well versed in all matters involving breaches of contact (including employment and property disputes), breaches of trust, and negligence (both professional and otherwise). 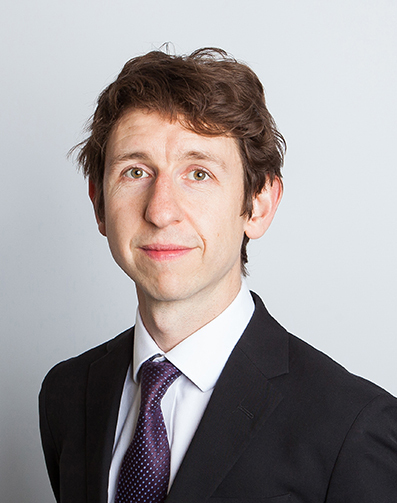 Jonathan completed pupillage at a specialist family set and practises in all areas of family law. He acts on behalf of Local Authorities, Guardians and parents in care and other public law proceedings. He acts for parents in disputes over child arrangements. He has a strong track record in Matrimonial Finance cases and related enforcement proceedings, and accepts instructions in applications under Schedule 1 of the Children Act 1989 and claims under the Trusts of Land and Appointment of Trustees Act 1996. Jonathan has particular experience in regulatory work. He is regularly instructed by Local Authorities and other regulatory bodies in various matters encompassing alleged breaches of advertising, environmental, and planning law.